Americans are working hard to pay their bills and take care of their families, yet too many employers make it impossible to juggle those work and family obligations. The danger of losing a job or missing a promotion because of illness, pregnancy, or taking care of loved ones when so many companies are focused solely on the bottom line leaves too many moms and dads having to choose between their jobs and their families. About half of all workers on U.S. payrolls today are women. Moreover, the majority of mothers, whether married or single, work outside the home, meaning that in most American families, all of the adults work and there is no full-time stay-at-home caregiver. This is not just a “women’s issue” since the changing nature of our families impacts men and women, adults and children. Indeed, as our population continues to rapidly age, more and more workers are finding themselves providing elder care to their aging parents as well. While our workforce and families have changed dramatically, our nation’s labor standards have not been updated in decades. There are sensible policies that would assist families while simultaneously helping employers’ bottom lines, but both employers and policymakers have been slow to recognize how fundamentally our lives have changed and what needs to be done to make our workplace policies match the way that we live and work today. In this series we identify five issues facing workers today: paid sick days, paid family and medical leave, workplace flexibility, child care, and the wage gap. As our nation has reached a pivotal moment in history, policymakers will have to decide whether they will take the necessary steps to support hardworking American families or whether they will continue along with the status quo. 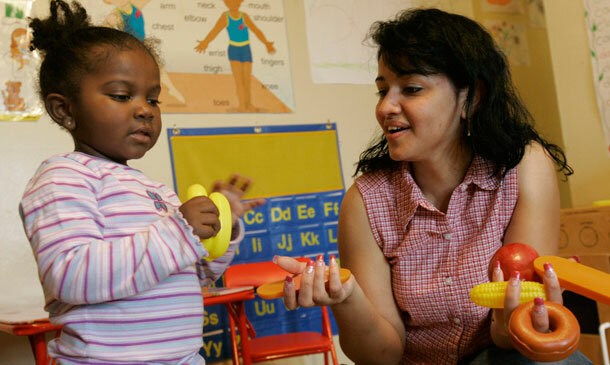 Here are the key facts you need to know about the importance of child care. In most U.S. families, all of the adults work. Fewer than one-in-three children today have a full-time, stay-at-home parent. In 1975, only a generation ago, more than half of all children had a stay-at-home parent—usually the mother. Because most parents work outside the home, most children under five years old receive child care from someone other than a parent. Almost one-quarter (23.4 percent) of children under the age of five are in some form of organized child care arrangement, which includes day care centers, nurseries, and preschools. This includes one-third (33 percent) of those with an employed mother and more than one-quarter (28.6 percent) of those whose mothers are not employed but are in school. Family care remains the most common type of child-care arrangement across all marital and employment statuses. Three-quarters of full-time employed mothers (75.2 percent) utilize some form of family care at least part of the time, compared to 86.3 percent of part-time employed mothers. Parents often alternate their work schedules to tag-team responsibilities, a major reason for the high costs of child care. The annual cost of child care for an infant in a child care center is higher than a year’s tuition at the average four-year public college in most states. The average weekly child-care payment for families with children under ages of 15 was $138 in the spring of 2010. On average, all families spend 7.8 percent of their monthly income on child care. For families with only children under the age of five, the weekly average child care payment was $171 in 2010, or 10.1 percent of the family’s budget. Low-income families spend a much larger portion of income on child care. The average monthly income for a family making less than $1,500 per month was $938 in 2010—49.5 percent of which was spent on child care. On average, families in this income group with children under the age of five who paid for child care spent more than half of their monthly income on child care expenses (52.7 percent). In comparison, families with children under the age of five making more than $4,500 per month spent an average of 8.6 percent of their income on child care. Child care assistance is a start, but it is not widely available enough to make a difference for most families. Subsidies are available only for low-income families and are scarce and sporadic even for them. Only about 30 percent of low-income families using center-based child care, and 16 percent using an in-home care center for a child under the age of six, receive subsidies. The percentage of middle-income families receiving subsidies is negligible—about 3 percent for an in-home care center. Since additional funds to states from the stimulus through the Child Care and Development Block Grant have expired, families who are eligible for assistance may not receive it. In 2011, 22 states had waiting lists to receive child-care assistance, and only one in seven children eligible for direct child care assistance receives it. There are federal tax policies that tend to benefit middle-income and professional-managerial families. The Child and Dependent Care Tax Credit benefits higher-income workers and families because it is only available to families where parents—both parents if it is a married couple—have earnings or are in school. It provides a nonrefundable federal tax credit of up to $3,000 for one dependent or up to $6,000 for two or more dependents. Because it is nonrefundable, however, low-income families who do not owe taxes do not receive the credit. More than two-thirds of Americans agree that the government or businesses should be doing more to help fund child care for working parents. Our nation’s lawmakers, however, have yet to take a serious look at this issue in this Congress. The bottom line: Low-income and middle-class working families need more help with child care for the good of future generations of Americans and for greater economic productivity and prosperity now and in the future. Sarah Jane Glynn is a Policy Analyst at the Center for American Progress.